It was one of those nights—I woke up at 2:00 am and could not go back to sleep. I picked up a Bess Crawford mystery, thinking that I would just read a couple chapters. Three hours later I put the book down, hoping to get a couple hours of sleep before my day began. Bess Crawford is a fictional character drawn from the imagination of a mother/son writing team (Charles Todd). Bess is a WWII nurse that goes to the front as a surgical nurse. Sometimes she has a reprieve, and she is assisting convalescing soldiers or tracking down relatives. But always she is pursuing truth and serving the patients she encounters with compassion. There is a deep yearning in the human heart for truth. David, the shepherd and later the king, lived through a turbulent time in Israel. His thoughts are captured in the Psalms. Psalm 25 is attributed to David. Another translation of this verse adds insight. God is the source of truth. We need the word of God in our lives. When our world is chaotic we can find truth by following Jesus. 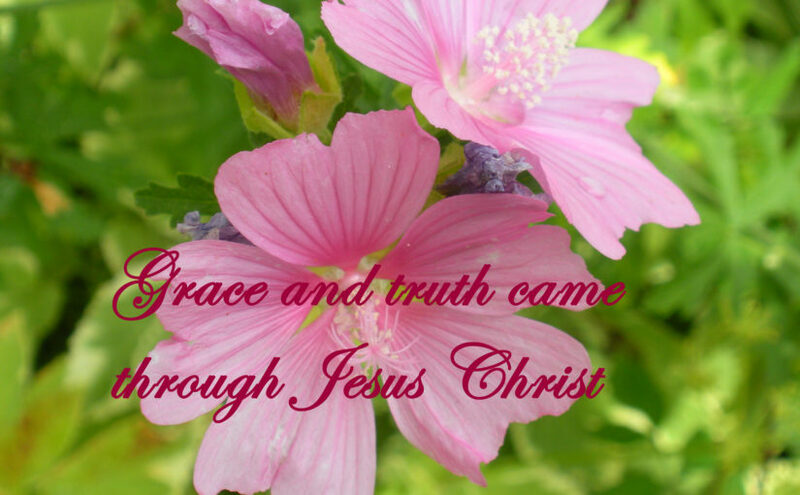 Did you notice that mercy and truth are connected in scripture? Only the Lord Jesus can offer us grace as we confront the reality of sin. Praise God that he provides mercy and grace for us! Debbie, thanks for visiting. I am happy to join your link-up! The Bess Crawford mysteries sound interesting. I love the scriptures you shared. I’m so glad mercy and truth go together. God is so faithful to forgive and to set us on the right path. Excellent article Carol. Your choices of scripture are great ones and the way you spoke encouraged me. Thanks for sharing the way Christ manifest His Spirit in the way you live. Truth is more than honesty because it requires an admission to our innermost selves the undeniable existence of God. Thanks for expressing your truths. Thanks for your comment, Walter. We are blessed by the faith we share. Carol, Love your flower picture for this post. Yes, we do yearn for truth. I know when I find out I have been lied to or mislead I feel horrible and cheated. Thankfully, we can always trust God to tell us the truth. Always. Thanks for sharing. Teresa, Thanks for visiting! Have a blessed weekend. I’ve never heard of these books. I’ll have to check them out! You are right: we long for truth. Even when we don’t realize it. Thank you for the reminder that truth comes through Christ. He is the truth, after all! Glad to be your neighbor at FMF this week! Thanks for sharing these great insights! I love the depth and meaning of Scripture! I’m your neighbor this week at FMF. Keep up the good work! Thanks for visiting. Have a blessed weekend!